Our last Social Studies unit for the year, MarketPlace – Is it Fair, has been a huge success. The class economy was a hit and now it is time to wrap it all up. To end this unit, we will be having a giant auction on Wednesday, June 5th during our Social Studies learning time. 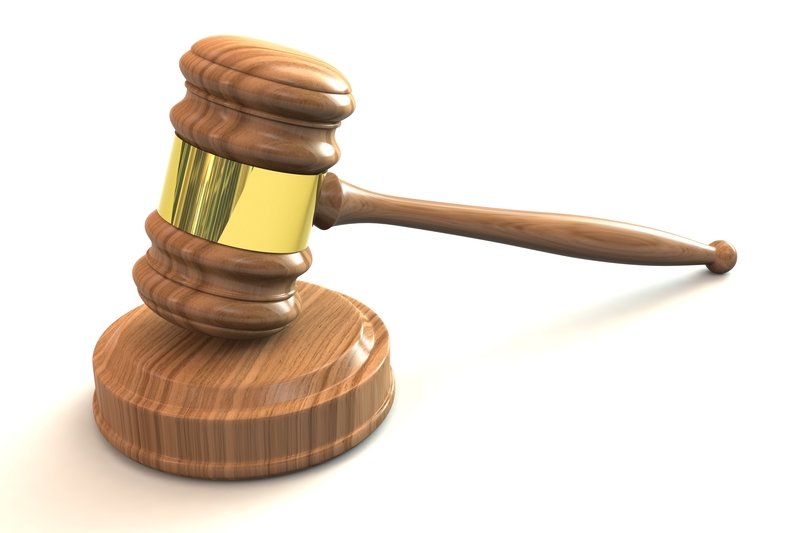 Your child has been asked to make sure they have your permission before they bring any items for the giant auction. If you would like to donate “in good condition” toys, games and/or books for our Auction, that would be most appreciated. Students will also have the opportunity to donate their “MarketPlace stock leftovers” to the auction as well as the classroom teacher providing a few “mystery” envelopes for auction as well. everyone prepared their stores for MarketPlace #1! Today’s MarketPlace was ALL about collecting Market Research for our businesses. What a fantastic range of interesting things to do, buy and play! You are invited to the Grade 3 Market place on the 22 May from 8:00-9:00 am. All parents will be provided with some money to participate in our economy. went and how to improve. The best learning occurs when children learn from their own experiences. Here’s a snapshot of how today’s MarketPlace went! 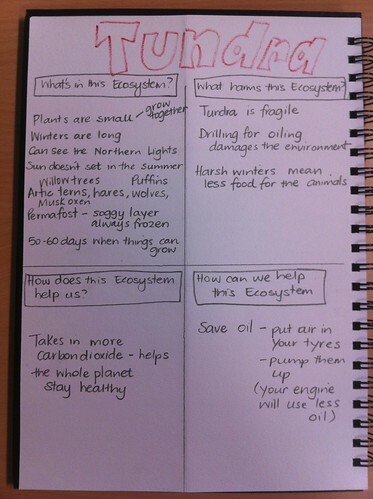 Here are today’s two Ecosystems notes for our journals. Great brainstorming today everyone! 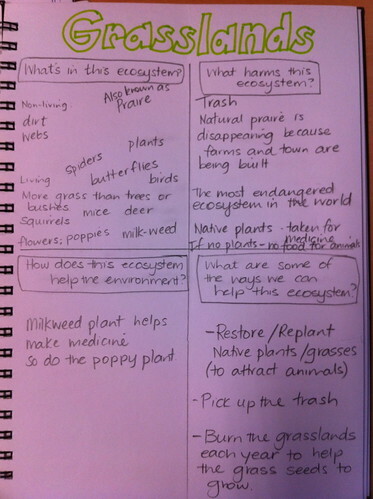 Thanks to Adi’s brilliant idea – here’s a photo of what your Social Studies page for Grasslands should look like – just in case you can’t remember all of the learning we did today during Social Studies. Here is the video we watched today. You might like to watch it again with your parents. We had a great discussion about what we will be learning about in this new unit of study for Social Studies. Wasn’t it cool that by the end of our first day learning about Our Fragile Earth, we now know what a natural resource is and how humans use some of those natural resources! Tell your parents what you learned today! Tonight I would like you to find out what ecosystem means. (You might ask your parents, look in a dictionary, use the internet …..). Then I would like you to write in your own words what ecosystem means in the comments on this post. 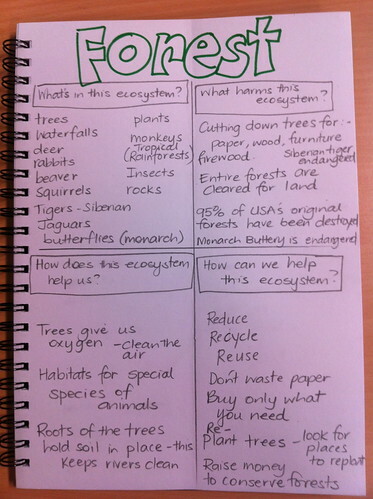 Tomorrow we will look at everyone’s comments and see if we can write a really good definition for ecosystem.